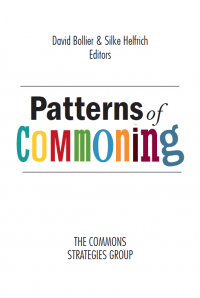 This piece by Michael Peter Edson, is part of our celebration of the online release of Patterns of Commoning, an anthology of essays about notable commons from around the world. 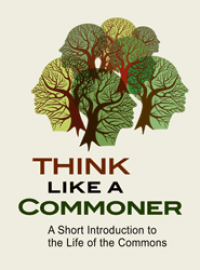 Edson's essay was originally published in the book, edited by me and Silke Helfrich and now freely accessible at patternsofcommoning.org. All chapters are published under a Creative Commons Attribution-ShareAlike license. Edson is a strategist and thought leader at the forefront of digital transformation in the cultural sector. Formerly with the Smithsonian Institution in Washington, D.C., Edson is now Associate Director/Head of Digital at United Nations Live Museum for Humanity, Copenhagen, Denmark. The opinions in this essay are his own. It was usually a note in the newspaper, a few pages back. Or, if the blaze was big enough and a camera crew arrived quickly, a feature on the evening news. It seems like house fires were more common when I was young, and the story was often the same: “As they escaped their burning home,” the newscaster would say, “they paused to save a single prized possession…” And it was always something sentimental – not jewelry or cash but a family photograph, a child’s drawing, a letter, a lock of hair. Ephemera by any measure, and yet as dear as life itself. Museums are simple places. Libraries and archives too. Collect, preserve, elucidate. Repeat forever. We don’t think about them until the smoke rises, but by then it’s usually too late. When Hitler ordered the destruction of Warsaw in 1944, the army tried to set the national library – the Biblioteka Narodawa – on fire, but the flames smoldered. It turns out that the collected memory of a civilization is surprisingly dense and hard to burn, so a special engineering team was brought in to cut chimneys in the roof and holes in the walls so the fire could get more air. Problem solved. Museums, libraries and archives are simple places, but once the flames take hold they burn like hell. One of the most important languages for expressing the values of the commons, I have come to realize, is art. It can often express visceral knowledge more effectively than words and give those insights a more powerful cultural reality. Those were my thoughts when I saw "Seeing Wetiko," an “online gallery” of artworks, music and videos just released by the global arts collective The Rules. “Artists and activists from around the world have come together in a burst of creative energy to popularize the Algonquin concept of wetiko, a cannibalistic mind virus they claim is causing the destruction of the planet,” the group announced. Wetiko is an indigenous term used to describe “a psycho-spiritual disease of the soul which deludes its host into believing that cannibalizing the life-force of others is logical and moral.” The dozens of artworks on the website convey this idea in vivid, compelling ways. The term wetiko was chosen for the project as a framework for understanding our global crisis, from ecological destruction and homelessness, to poverty and inequality. To illustrate the scope of wetiko today, the website features a wonderful four-minute video, graffiti murals from Nairobi, carved marks from the US, a film about plastic bottle waste in Trinidad and Tobago, and a theater performance about patriarchy in India. The Rules is a global network of “activists, artists, writers, farmers, peasants, students, workers, designers, hackers and dreamers” who focus on five key areas needing radical change – money, power, secrecy, ideas and the commons. In an essay in Kosmos Journal describing the wetiko project, Martin Kirk and Alnoor Ladha, co-founders of The Rules, write: "What if we told you that humanity is being driven to the brink of extinction by an illness? That all the poverty, the climate devastation, the perpetual war, and consumption fetishism we see all around us have roots in a mass psychological infection? What if we went on to say that this infection is not just highly communicable but also self-replicating, according to the laws of cultural evolution, and that it remains so clandestine in our psyches that most hosts will, as a condition of their infected state, vehemently deny that they are infected?" A new anthology of essays, Build the City: Perspectives on Commons and Culture, powerfully confirms that the “city as a commons” meme is surging. This carefully edited, beautifully designed collection of 38 essays shows the depth and range of thinking now underway. The book was published by Krytyka Polityczna and the European Cultural Foundation in September as part of ECF's Idea Camp convening. Thinking about cities as commons is so compelling to me because it gives a structured framework for talking our moral and political claims on cities. It helps makes our entitlements as commoners visible, as well as the scourge of enclosure – two concepts that are not particularly welcome topics in respectable political circles. Rebel clown army confronts the G8 Summit in Scotland. From "Build the City." 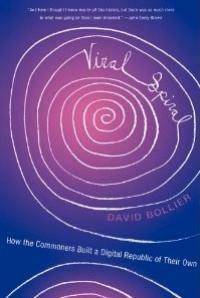 ely complement to the Bologna “The City as Commons” conference in November. You can download a pdf of the book here – or you can order a hard copy here. 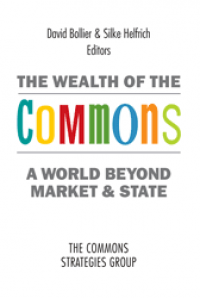 Besides ECF and Krytyka Polityczna, the book is a collaboration with Subtopia (Sweden), Les Tetes de l’Art (France), Oberliht (Moldova), Culture2Commons (Croatia) and Platoniq (Spain), all of whom are partners in the action-research network Connected Action for the Commons. If there is one recurring theme in this book, it is that commoners must devise the means for more open, inclusive and participatory models of democracy in cities – and that art and culture projects can help lead the way. “Cultural initiatives that challenge the extremely individualized model of the world are worth closer attention,” writes Agnieszka Wiśniewska, a Polish member of the “Connected Action for the Commons” network, “as they may help us re-esetablish social ties and our trust in others.” The real challenge, then, is how to devise effective new structures that can empower commoners in improving governance, building social connection and democratizing power. What does enclosure feel like from the inside, as a lived experience, as a community is forced to abandon its “old ways” and adopt the new worldview of Progress and Profit? British author Jim Crace’s novel, Harvest, a finalist for the Man Booker Prize in 2013, provides a beautiful, dark and tragic story of the first steps of the “modernization” of a preindustrial English village. The story focuses on a hamlet that is suddenly upended when the kindly lord of the settlement, Master Kent, discovers that his benign feudal control of a remote patch of farmland and forest has been lost to his scheming, cold-hearted cousin, Edmund Jordan. Jordan is a proto-capitalist who has a secret plan to evict everyone and turn their fields into pastures for sheep. He plans to become rich producing wool for the flourishing export market. But Jordan can’t simply announce his planned dispossession of land lest it provoke resistance. He realizes that he must act with stealth and subterfuge to take possession of the land and eradicate the community, its values and its traditions. Harvest depicts the sensuous experiences of a village community wresting its food from nature, but with relative peace and happiness. "Our great task each and every year is to defend ourselves against hunger and defeat with implements and tools. The clamour deafens us. But that is how we have to live our lives," the narrator tells us. 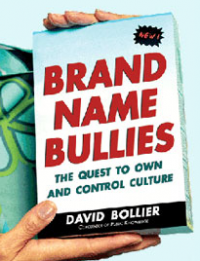 The book also shows how easily this world is shattered by a brutal outsider who uses fear and social manipulation to rip apart a community in order to install a new regime of efficiency, progress and personal gain. I’ve always thought that the commons, in its attempt to achieve a holistic balance of relationships, is profoundly aesthetic and ethical. It aspires to a certain dynamic but disciplined shapeliness. How wonderful, then, to encounter Harris Webster’s Japanese-style poetry about the commons, inspired by his reading of The Wealth of the Commons: A World Beyond Market and State! 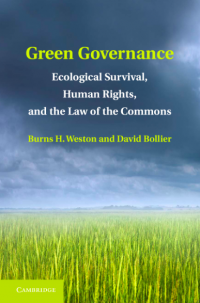 A few years ago, Webster, a retiree living in Montpelier, Vermont, heard a presentation on the commons by University of Vermont professor Gary Flomenhoft. Then he read a number of pieces on the commons in Kosmos journal and discovered The Wealth of the Commons. I hope you enjoy this wonderful poetic experiment as much as I do! May it be well known world wide! good soil and fresh air? Is that why they’re uncommon? American culture has been dominated for so long by Hollywood, Broadway and the nonprofit industrial complex that it is hard to imagine theatrical performance without the stars, the spectacle, the corporate investments and marketing hype. What would it be like if theater were taken off its big-money pedestal and allowed to speak to serious social concerns, politics, ethnicity and the human condition as it is actually experienced? Welcome to HowlRound, a growing hub of the nonprofit theater world hat boldly bills itself as a “Center for the Theater Commons.” HowlRound, hosted at Emerson College in Boston, is dedicated to the idea of “recouping the idea of nonprofit theater as an instrument of civilization." That's more or less what HowlRound is trying to do for nonprofit theater: to make it from scratch. Carl is convinced that commoning is the most effective way to revive the creativity and relevance of theater for ordinary people. “Sometimes you just have to let go of things that you think are really valuable [like conventional structures for nonprofit theater], and experiment,” she said. So why not try to amass a community of people dedicated to “the core principle that theater is for everyone”? A new book of essays complicates this picture. Negotiating Culture: Heritage, Ownership and Intellectual Property -- just published by the University of Massachusetts Press -- points out some of the distinct limits to “intellectual property’s” dominion. The book is a series of essays by academics from various disciplines that explores how social practice and culture have their own moral legitimacy and social power -- enough to push back on claimed property rights. The book chronicles controversies over who should have legal rights of ownership and control over Native American remains, Green and Roman antiquities, works of art looted by the Nazis, among many other objects and resources. We are asked to consider whether culture should be treated as property that can be bought and sold (and treated accordingly), or whether it must be considered inalienable, or not suitable for sale on the market, and treated with the utmost dignity and respect. These are the magic words: It seems that the core issue in so many of these disputes is a matter of identity, dignity, respect and, of course, power. Museums are increasingly at the epicenter of cultural ownership issues these days. The 2005 trial in Italy of Marion True, the former curator of classical art at the J. Paul Getty Museum, is a beautiful case study of how social norms about the ownership of ancient antiquities have dramatically shifted. Prior to that trial, museums often bought or accepted donated antiquities without too much thought about the provenance of the work. After all, antiquities don’t usually come with title deeds or receipts, and it was an open secret that many of them were dug up by looters and spirited out of the country into the hands of profit-minded dealers. Now that the City of Detroit has declared bankruptcy, one of the most critical questions will be what assets will be put on the table to pay creditors – and what assets, if any, will remain inalienable, that is, not capable of being sold. You see, there are moves afoot to sell off priceless paintings and artworks from the Detroit Institute of Arts to pay off the city’s debts. The stash of assets include works by Bruegel, Caravaggio, Rembrandt and van Gogh. Normally the market value of large art collections is not calculated except as needed for blanket insurance policies. But now that a pack of hungry creditors wants to be made whole, many people are startin g to look yearningly at the estimated $2 billion that could come from liquidating the museum’s collection, or substantial portions of it. The whole scenario is of a piece with other enclosures driven by finance capitalism. The investor class has gone way beyond privatization; now it wants to use the debt crisis to gain outright ownership of public assets and start charging for the use of them. As economist Michael Hudson has put it, cities are selling sidewalks and citizens have to start paying to walk on them. The fate of the Detroit Institute of Arts’ collection will say a great deal about how far we Americans are willing to go in monetizing our cultural heritage. Museums are supposed to act as permanent trustees of a community’s priceless heritage. Donors are willing to give works to museums only because they believe that the works will be there forever, and not sold off to satisfy some unrelated financial claim against the city. In other words, the artworks held in trust for the public by a museum are supposed to be treated as the priceless heritage of the citizenry, beyond any market valuation. That principle may be breached very soon. This is a project about stillness. We are living in an increasingly urban world, in which growth is the central tenet. Growth, in all its cultural translations and incarnations, has been the cornerstone of modernity. Most of our parables stress the virtues of personal growth, economic growth, demographic growth and technological innovation. Forms of growth that are considered deeply intertwined, simultaneous, and interchangeable. But what happens when growth is no longer feasible, or when it becomes undesirable? What happens to a city when growth based on ‘Bigger, Better and More of it’, becomes unsustainable? What happens when a city stops growing but doesn’t shrink either? What kind of values and narratives will emerge when the notions of economic growth and personal growth disconnect? How will people relate to labor, love, family, individuality, community, history and the future? Is there such a thing as a mature city? Still City Project is a search for a dynamic urban culture that is not based on growth. The Still City can be understood as a sustainable and inclusive society. A society that wants to leave the more negative connotations of the notion ‘growth’ behind to find post-expansion, post-depletion and post-exploitation value-systems. The ambition of the project is to construct urban scenarios that will help us understand how a post-growth society could function. Monnik is currently engaged in a series of interviews with international thinkers in various disciplines, and “people-on-the-ground” who are trying to deal with “the everyday reality of growth, and non-growth, in our society.” The group hopes to develop some scenarios on how post-growth circumstances would change the urban environment, and publish the results in The Still City Scenario Machine.